Kingsthorpe was in excellent condition with fast greens, pin placements which tested the players getting close to the hole. We were blessed with fine and warm weather with moderate cross wind just enough to cause some havoc especially on the par 3s. The morning foursomes saw both teams compete in the early holes with holes going either way except for Kingsthorpe members Mark & Jason winning comfortably 6 & 5. The other matches were tight we lost the top match Michael & Ryan by 2 & 1; though our team took control from the 14th which is one of the hardest finishing 5 holes in the county. Tom & Chris won 3 & 2 with Ryan & Jack holding on to win 1 up on the 18th green giving us the advantage of a healthy lead after the morning foursomes. The foursomes finished Northamptonshire 3 points Suffolk 1 point. The team were in confident and determined mood to finish with an overall win. 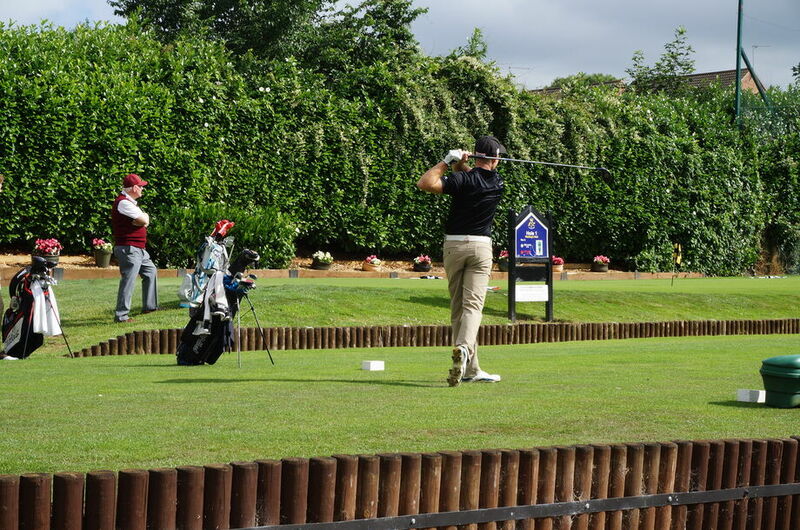 Ryan Connolly was our lead player this match was an even affair for the front 9 but with great shot making over the finishing holes went Ryan's way winning 3 & 2 great start! It was neck & neck on all other matches through the 13th with scores of 1up, 1 down or all square it looked as it could go either way! 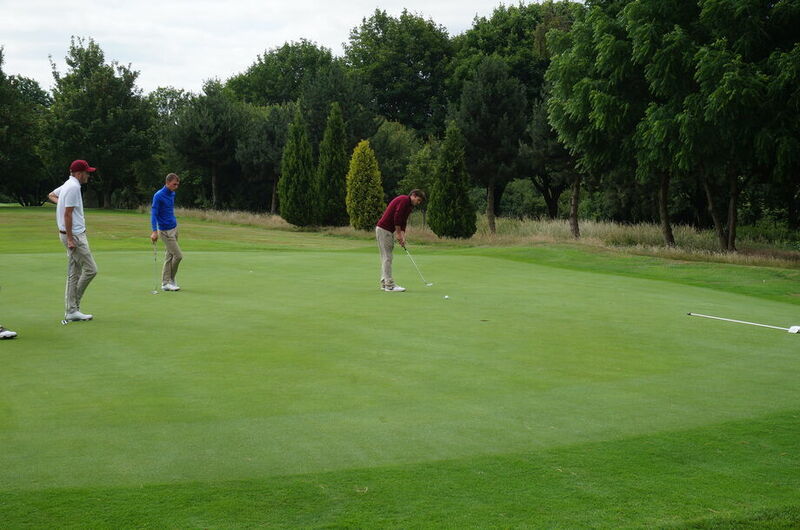 Though the finishing 5 holes was decisive to the final result with 4 matches ending on the 17th Chris lost 2 & 1, Tom & Ryan G won 2 & 1, Jack won 2up. Jason (Kingsthorpe 2017 Championship winner) was all square on the 17th tee showed his class & knowledge of the course winning the 17th and finished with a birdie on the 18th to win 2up. Mark lost on the 18th 2 down. The final match out on the course was Michael who had been 1 down most of the match, with this score he stood on the 18th to see his tee shot fly the trees on the right eventually finishing on the 9th green, his opponent was down the middle looking to be in prime position, Michael's quality shone with a great recovery shot 30 yards off the green followed by a good chip to finish 10ft from the hole, the Suffolk player was on the green for 2 his first putt finished 6ft away, Michael holed out for 4 with his opponent missing halving the match! The singles finished Northamptonshire 5 & 1/2 points to Suffolk 3 & 1/2.